Here are some perfect examples of subtle and beautiful holiday decor. 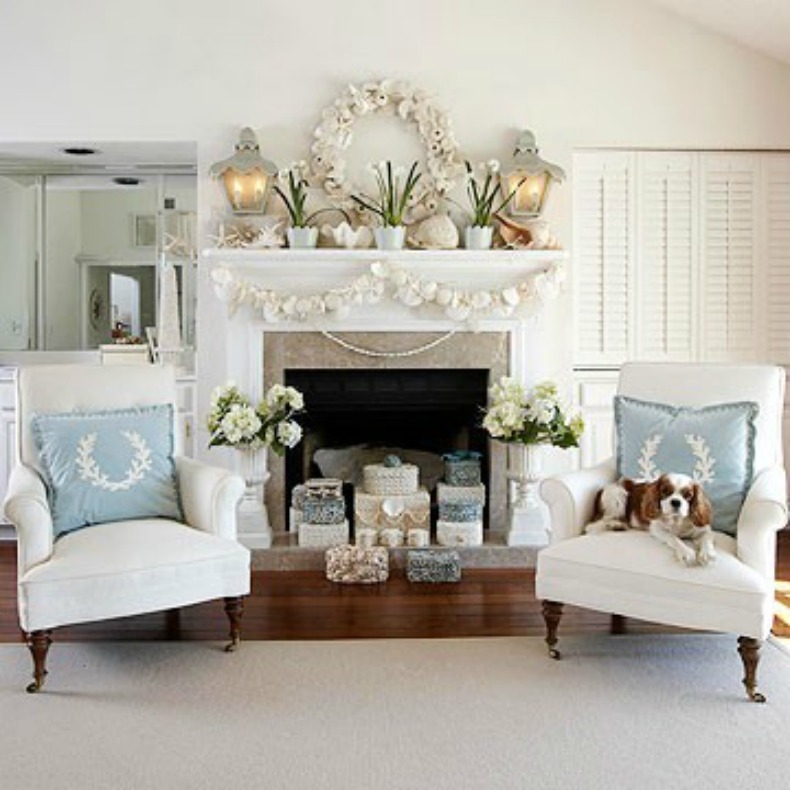 White and pale blue Living Room with holiday touches of white toned shell wreath and garland are sea inspired chic. Beautiful coastal cottage decor with holiday wreaths hung on the doors is all you need to usher in the holiday spirit. Blues, golds and natural tones of this Coastal Living Room are accented with rustic holiday wreaths for a pinch of Christmas cheer. We love these simple wreaths made of pine branches in this already fabulous cottage room. 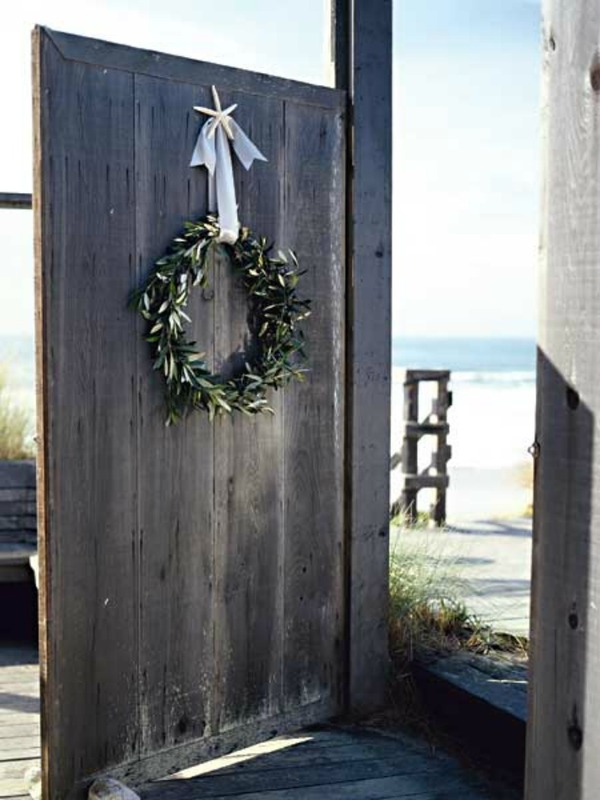 Beach house wooden door adjourned with holiday garland wreath is simply stunning. White and pale blue Living Room with white shell garland and wreath. Blue, gold and white coastal Living Room with rustic wreaths. Pine branch wreaths hung in cottage Living Room. Beach House wooden door with holiday garland wreath.